Ghost field investigations: Understanding the needs of respect and reverence for the dead. It seems that we still cannot comprehend the existence of the spirit. In fact, IGHS has pointed out that all creatures and living things are supposed to have a 'life force' that sustains life. Furthermore, this 'life force' in humans is considered to be the soul or spirit that retains the intelligence, emotions and personality of the human being that survive death. This 'life force' survives death because energy cannot be destroyed but may transform into other energy patterns that represents the existence of the spirit. However, some of us give more importance to investigation results rather than understand the psychology of the spirit. Positive thinking does not mean we can do whatever that can attract the spirit that would benefit our investigation results. We must not forget that spirits exist based on how they used to live when they were alive. In the spirit realm, we exist in the form of energy that retains human qualities. Therefore, even though we shed off our physical body, we still need respect. I would like to point out that success in ghost field investigations is not based on how scientific or how sophisticated the tools we employ during field investigation are. Instead, such success is based on how much we understand the existence of the spirit and how much we care them, how we accept their existence, what kind of respect and reverence we show towards them. The great tools are imbedded within our personality – the concept of humility that contains the respect and reverence towards spirit existence. Psychology needs of the dead. Therefore, the standards and protocols that include showing reverence and respect for the dead that the IGHS promotes are the greatest tools that match the psychology needs of the dead. Let me explain, in reality we don’t like to talk to someone or feel comfortable with someone whom we don’t recognize and we also may be reluctant to even communicate without good reason with someone whom we don’t know. Therefore, this natural nature also applies to the ghost research field investigation in that we cannot force the spirit to participate in our investigations. Every one of us lives with a free will. 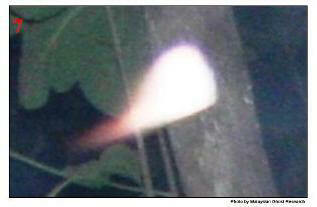 In fact, the spirit has the free will whether to participate or not during our investigations. We do not seek for the spirit of the dead but rather, we just document their existence to prove the existence of life after the first life. Nevertheless, if we treat these spirits which exist with kindness and respect, we will live without fear. 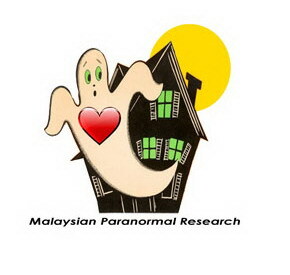 Respect for the dead coupled with kindness and reverence does not only show our respect and acceptance towards the spirit, but the spirit in turn will also treat us in the same way and will give us great success when we conduct paranormal investigations. Furthermore, if we fail to show respect, kindness and reverence towards the spirit, then we don’t need to expect great success in our investigations. Open our mind to be wise, the only key that holds the psychology of the dead is being polite by showing our reverence and respect. This is not difficult to understand; in fact this is the basic nature of human beings that we should cultivate. Nobody likes to be forced to do anything. Even in real life, we don’t like someone to order us to do things in an improper manner. Asking in a polite manner always gives a positive impact on the listener that will definitely enable them to cooperate rather than giving orders in a rough tone that always brings about negative impact. This example is similar to the investigator and the spirit involved in ghost investigations where which their relationship is linked through energy that is related to the psychological intention and emotion. Therefore, if someone behaves aggressively towards the spirit by ordering the spirit to appear, so that the spirit can be captured, then we should be prepared to feel the negative reaction of the spirit towards us or we suffer the failure of getting success in the investigation. Nevertheless, the technology that we employ during field investigation is not the most important that brings success but not more than a tool that helps us to document spirit existence. I maintain that the best attraction for spirits to participate in our investigations is by showing respect and reverence towards them. 'Billboard' to attract the spirit natural curiosity. Furthermore, we can put up a ‘billboard’ that may positively attract the curiosity of the spirits that psychologically will not force them to participate in our investigations. In real life, we tend to look at billboards out of curiosity rather than meet someone who is trying to promote a product. Therefore, why not instead of using the Ouija board or crystal ball that often summons malevolent spirits, we put up a ‘billboard’ during investigations to attract the spirits. In my case, when I do video recording at the cemetery I always find a dark spot and put up my video recording with an external light on it. As IGHS recommended, I never wait for spirits to come by to be recorded, rather I let them approach the external light out of their natural curiosity. Furthermore, this is actually a very simple scientific method that can be easily adopted by anyone. My conclusion is that, spirit are human beings who still retain their emotions and intelligence that survive death. Therefore, they still behave exactly like us who need respect from the living. As a ghost investigator who understands the concept of humility that is related to positive behaviour – showing respect and reverence for the dead will always create positive energy that in turn will attract the spirit to be involved in paranormal investigations.